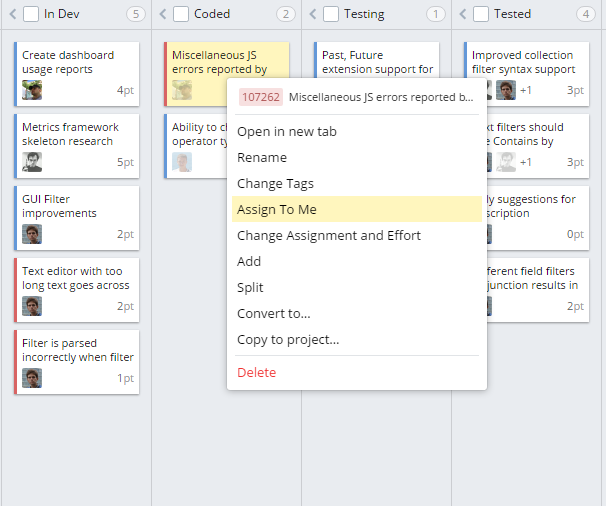 If you plan work for Team Iterations with the same start date across multiple teams, your life has just become easier! 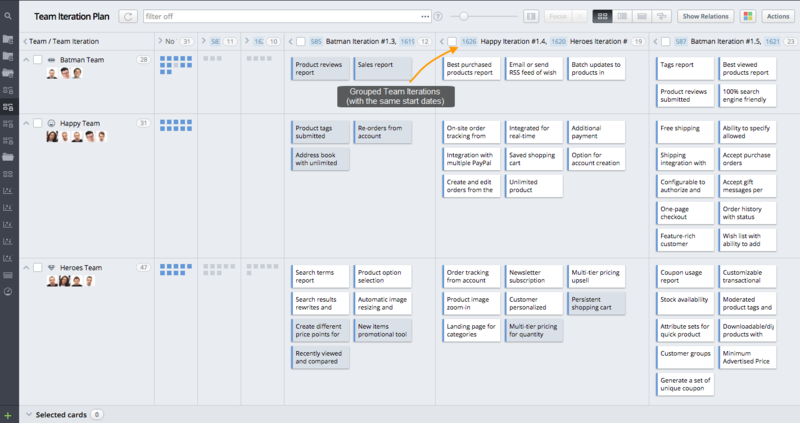 Selecting the Team and Team Iteration axes on views with work items will group Team Iterations into one column. If you work with SAFe or have cross-team dependencies, you will love using this new functionality with the Show Relations mashup. The mashup adds a button to your top bar which allows you to visualize cross-team dependencies of different types (blockers, relations, dependencies). Here is an example of a Program Board with the mashup turned on. The visual representation of relations can help you to identify risks caused by dependencies early-on in the planning stage. From now on, it will take less clicks to assign an entity to yourself. You can do it directly from a board; just select ‘Assign To Me’ from the context menu of the card you want to assign. 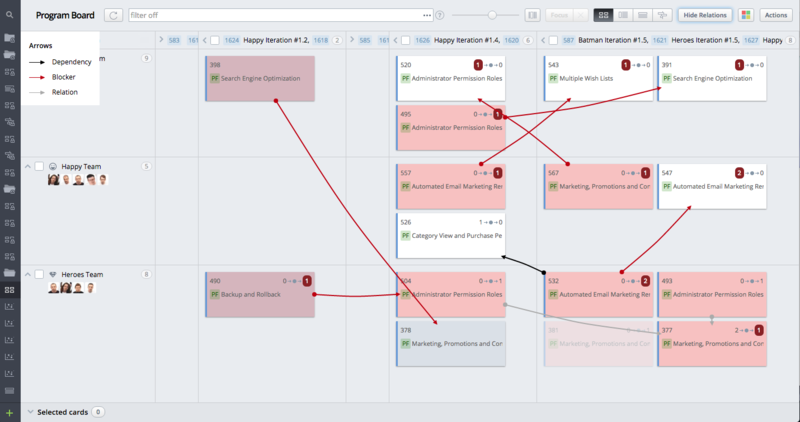 In case Planned and Actual sections are separated on a Timeline, they will now be connected with a line. 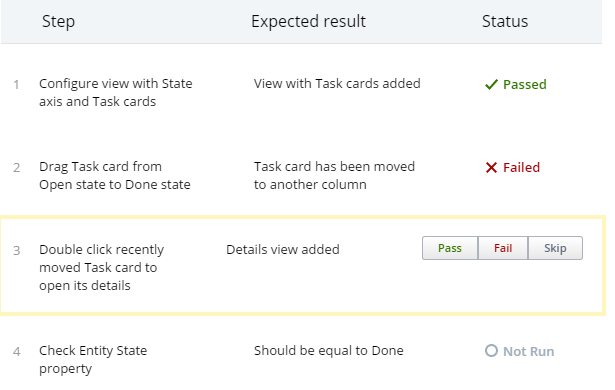 Do you want to skip certain test steps during a test case execution? Now you can use the new "Skip" button. You can return back to these test steps later or skip them entirely for the current test plan run. We've improved backwards navigation (using your browser's "Back" button). Search results will now be available through direct link when you navigate back to a page. It used to be difficult to get a list of certain time entries in Targetprocess. 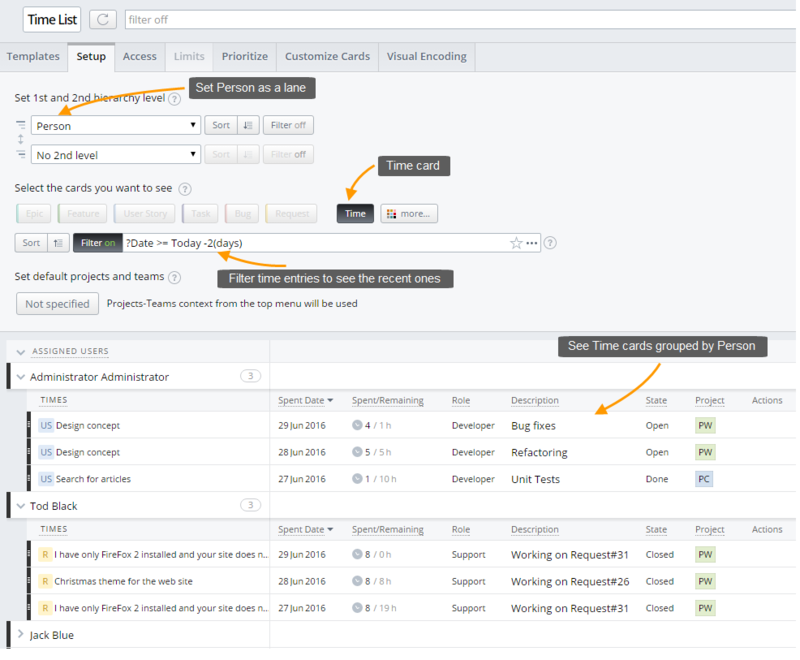 Now, you can create Board and List views that display Time as cards. You can group them by User, Spent Date or other fields, and you can filter or sort them as you like.